The instructions are similar to those in part 1, but are specifically for installing SiriProxy on the Raspberry PI running Debian Wheezy. 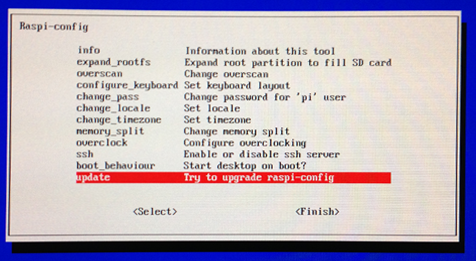 Follow this section if you’re installing on a Raspberry PI. Refer back to Part 1 for detailed errors and solutions, as well as customization of the proxy server. See Part 3 for integration with Home Automation Systems. There’s nothing special about my configuration. An 8GB card is required. If there is sufficient (read: “overwhelming”) demand for a 4GB image I’ll make one. Do not apply power until the SD Card is inserted (see below). I power mine from a USB port on my PC while I’m working on it at my desk. Copy to SD Card (I use HDDRawCopy1.02Portable) – does not require any thing like “sys linux”, just insert and copy. Install the SD in the Raspberry PI and power it up. You MUST reboot at this point to expand the root filesystem; otherwise, you will run out of disk space installing Ruby. At this point you should have an IP address if you’re using DHCP. (If not google “Wheezy Static IP”.) For the SiriProxy a DHCP reservation or Static IP should be used. 1. Install everything needed for Ruby, RVM, git, etc. This should return Apple’s IP address (I got 17.174.8.16). Apple blocks ICMP, so the pings will timeout just make sure it resolves into a 17.x.y.z address. No binary rubies available for: debian/wheezy_sid/armv6l/ruby-1.9.3-p374. If you get the following error, it’s likely that you ran out of disk space (run “df –k” to check). Select ‘y’ to warning to continue. Set a few things in the environment first and create a symbolic link so that rvmsudo works. The last step is to point your iPhone at your DNS server. This will be the PI’s IP unless you are using an external DNS server. [Info - Plugin Manager] Say: Siri Proxy is up and running!